The dress on the left is china silk of hand painted with a floral pattern, and on the right is a modestly striped silk taffeta, show the lightness favored in this period. As for these dresses, it is also possible to wear as robe à la Polonaise style, with the skirt pulled up by cord. Throughout 18th century, the composition of women's dress did not change basically, the most important point was the trimming. Especially after the 1770s, the trimming increased in importance, and "marchands de mode" were an active force. In the latter half of the 18th century, these merchants were responsible for producing and selling trimmings from head to toe, including headdresses. 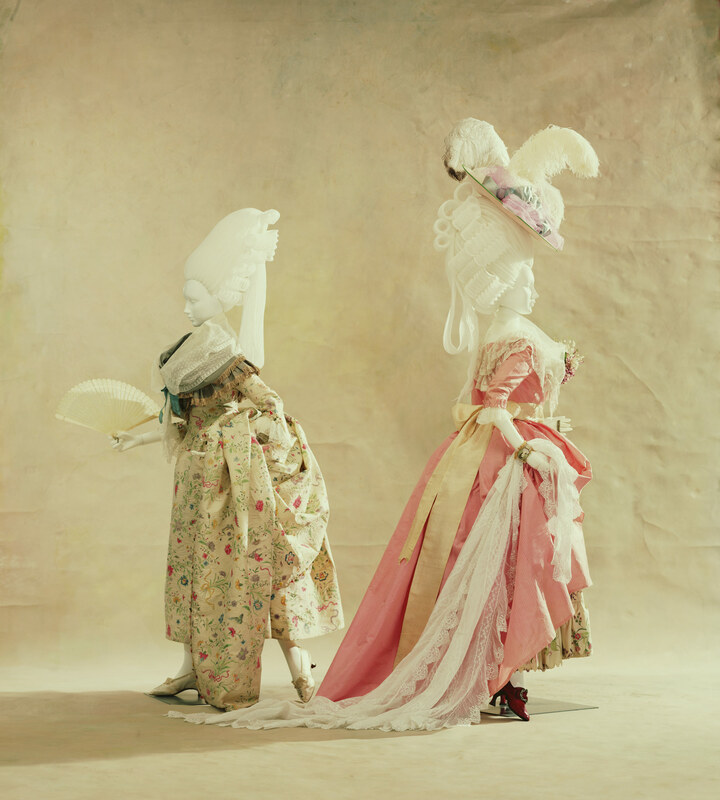 They gave full rein to their imaginations when decorating dresses, created headpieces, and in the end became powerful trend setters of the time.